Wireless charging is not something that came out yesterday. It has been here for a long time but Apple iPhones were never really charged via Wireless charging until now. Apple introduced the glass back design on the new iPhone 8, iPhone 8 Plus and iPhone X for wireless charging. 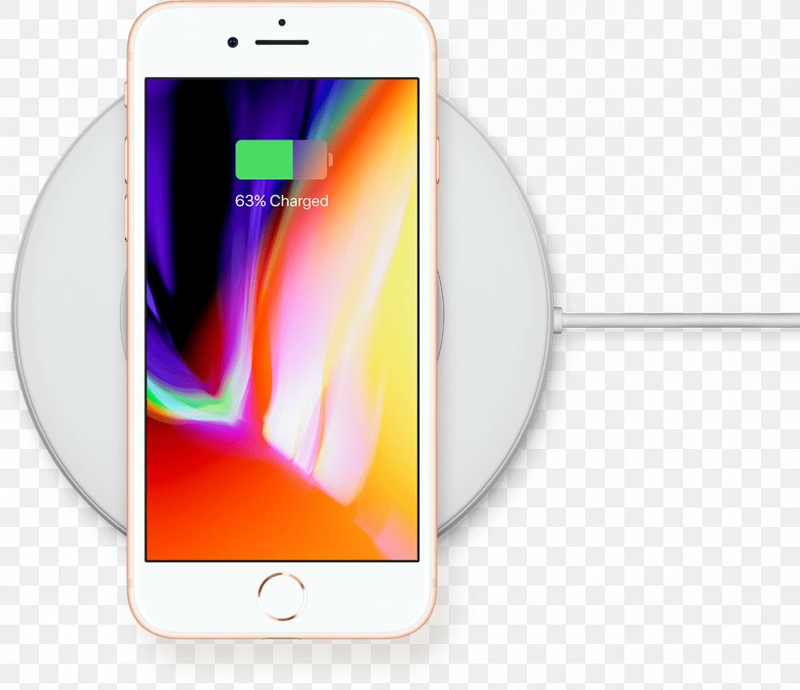 Though Apple doesn’t provide a wireless charger with the new iPhone, it can be charged wirelessly through many other wireless chargers from other top brands. To know all those 7 wireless chargers continue reading the article. We all have Lightning cables at home, but Qi bases are something completely new to us. So while waiting for the arrival of Apple’s AirPower base, look at what other Qi chargers we can have at home to charge our new iPhone without the need to have cables scattered on the table. We have an economic option on Amazon for Rs. 2628 at the moment, in two different designs. The most attractive is that of the image: round, black and simple and square round, black and simple. Mophie already had wireless cases and chargers for the iPhone before it was cool, and with the iPhone X, that’s not going to be an exception. Its base accepts fast charges of 7.5W and is sold in the Apple Store for 59.95 dollars. IKEA also has its own Qi-certified wireless chargers. They sell them in their physical stores and with different costs (based on capacity). If you want a charging base in which you can have up to three phones charging at the same time, then you can go for the NORDMÄRKE base which costs 69 dollars. 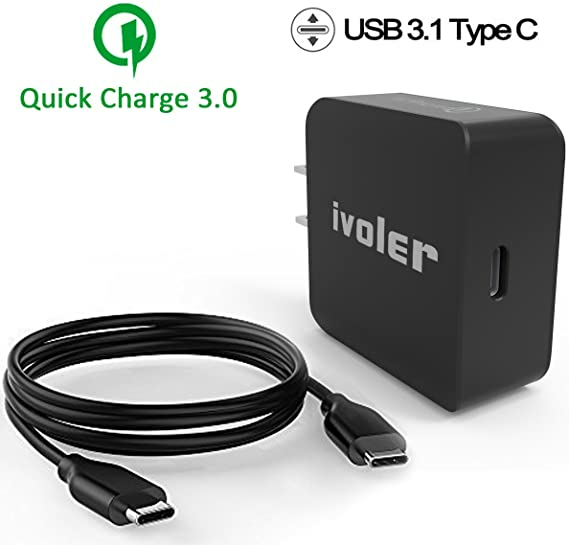 If you go directly to the cheapest, then on Amazon you have this iVoler charger. Small, discreet and for 8 dollars. Are you from the minimalists who want the least amount of things at the table? This IKEA light with Qi charger built into its base is for you. It costs 65 dollars. This popular brand of accessories is not far behind with its offer. In Amazon, we have this charger that at the same time holds the phone tilted for our comfort for Rs. 7187. 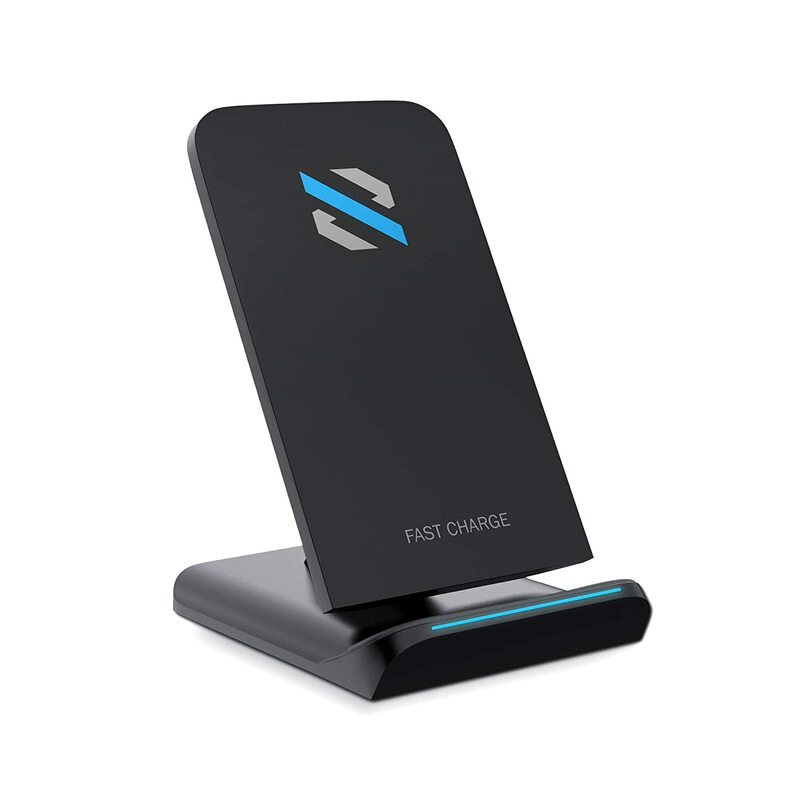 Last but not least wireless charger called SKYVIK charger. 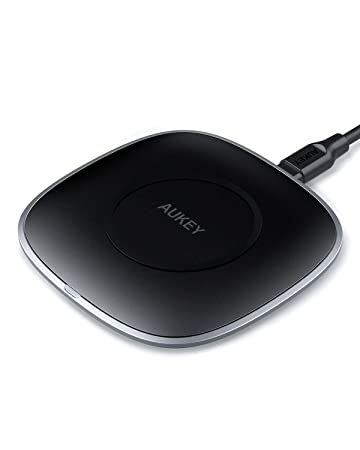 SKYVIK Fast Wireless QI Charger has 2 Coils with Cell Fast Wireless Charging Pad Stand for iPhone X, iPhone 8/8 Plus Samsung Galaxy Note 8 S8 Plus S8+ S8 Galaxy S7 S7 Edge Note 5 S6 Edge Plus and other Qi-enabled Devices such as Nexus 4 & 5. You can get this product from Amazon e-commerce website online. It costs Rs. 2499. As per its user’s review, this charger works great charges fast. 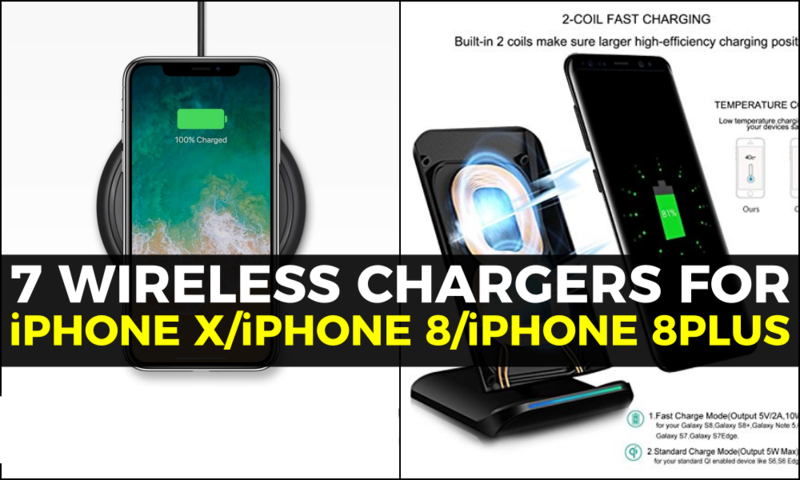 These are the 7 Apple iPhone X, iPhone 8 and 8 Plus Wireless chargers. I hope this list will help you to chose the best wireless charger for your iPhone. If you have any queries regarding any of the wireless charger, let us know them in the below comment section. We will get back to you as soon as possible to solve all your queries. Would you like to add any other wireless charger to this list? Then write them to us, in the comment box and we will include them in this list, once the review is completed. 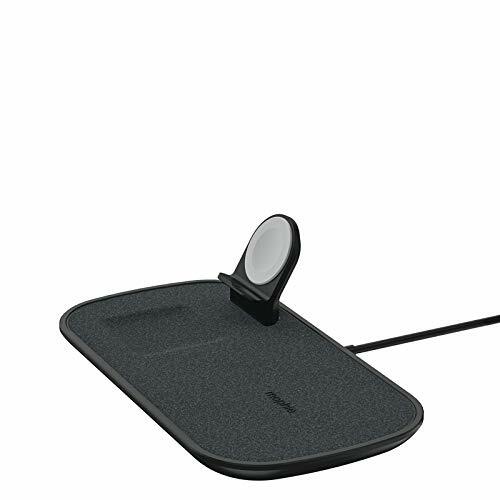 Are you using Wireless Charger to your iPhone now? Then share your experiences with our readers to chose the best one. Which wireless charger do you prefer to use?